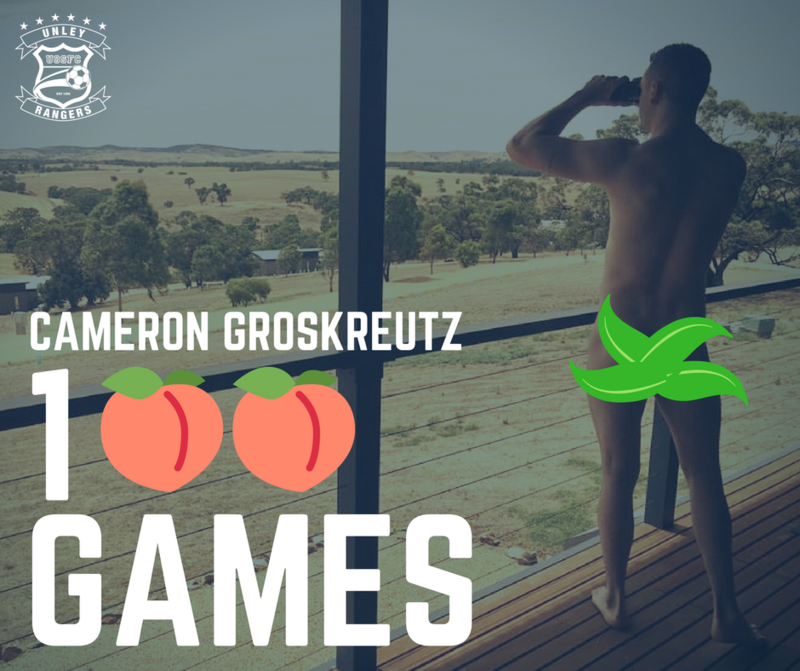 Congratulations to our very own German exhibitionist – Cam Groskreutz who plays his 100th game this weekend! Cam. The man, the myth, the legend. Congratulations on 100 games, what an achievement! We missed him dearly last year in the 2’s. What a difference he makes on the field. His voice runs and movement off the ball makes everyone around him a better player. The nicest bloke on and off the pitch. Last week he did not like a tackle put in on one of our boys. He stormed towards the kid to let him know that kind of tackle is not on. The ref quickly pulled him aside asking him to calm down. That’s when it sunk in that it looked like he was about to rip the blokes head off. And have you seen his arms??? He easily could have. I reckon I heard him apologise a good 12 and a half times, “sorry mate, I was never going to hit ya.” Instead of shaking his hand after the game he bro hugged him!! Well done on reaching 100 games mate!! Many more to come. Kick a couple of goals to celebrate on the weekend!! 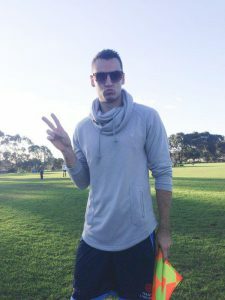 Cam rocks up to training/games/functions wearing minimal gear to show off his recent workout results (even when it is cold and raining). 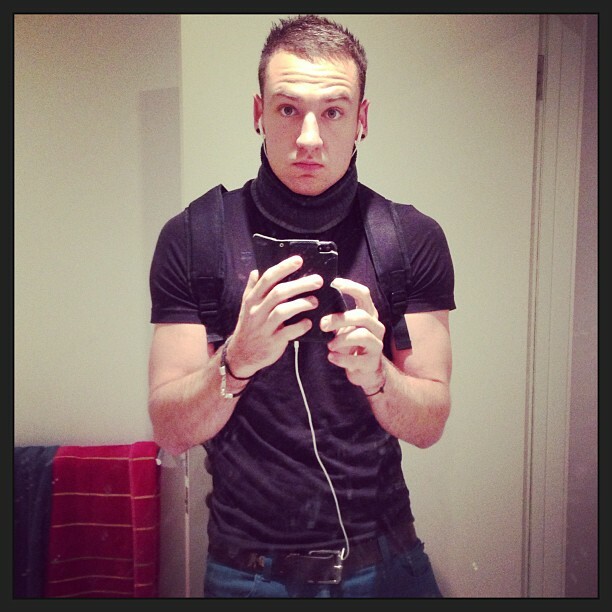 He counters the look of disbelief from his teammates by needing to cover up his neck – ‘I know its freezing. Look! I’m wearing a scarf’. He is passionate. He loves his football. 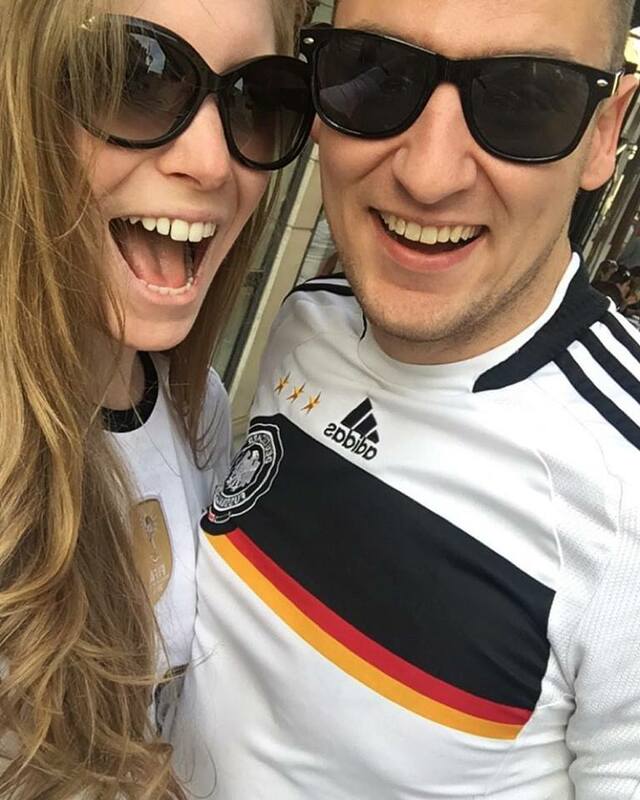 He loves his motherland and with Germany dominating world football – he had no shame in showing his emotion when they won their fourth World Cup and let every Ranger around him know it! He is loyal to the Rangers. 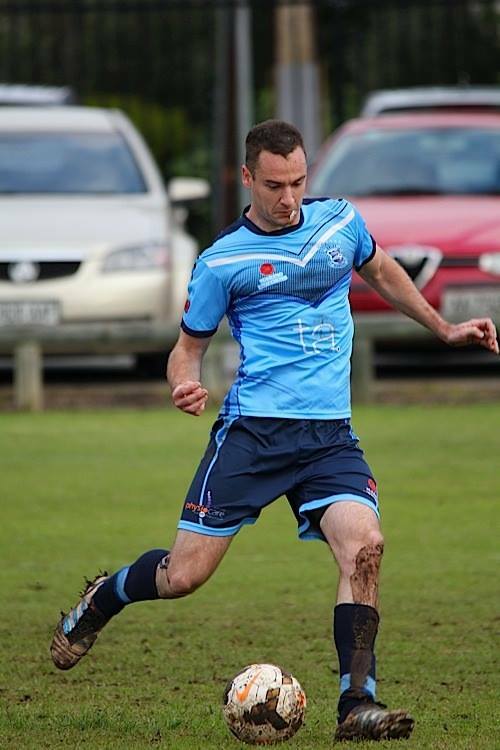 He first joined the mighty blues in 2012 as part of a wave of players from Scotch Old Collegians and never looked back. He is happy to play in any team and shows the same enthusiasm and devotion going into the game regardless. His 100th game has slowly crept up and even he was surprised that he will be playing a milestone game this weekend. Last year was a tough year. He worked tirelessly during the 2017 preseason and for the first time, rewarded with a call up to the Div. 1. Unfortunately, injury hampered his goal to cement a permanent spot, managing only a handful of games. Despite the setback, he continued to support the Club on the sideline and encouraged the new group of young players find their feet at the Rangers. He leads by example. Cam does the little things around the Club without any complaints or hesitation – lines, match reports, promoting the Rangers everywhere. He shows respect to his opponents irrespective of their ability or temperament. He is (needlessly) tough on himself, and motivates those around him. These characteristics shine and make him so valuable to our culture. I am proud to call him a fellow Ranger. Good luck this weekend mate! Fantastic achievement for an excellent player, diligent Ranger and exemplary mate.